Oh, Spanx. You really do make the best leggings. They slim the legs like no other. I first fell in love with the traditional faux leather ones (see them on me here), then went for the green camo ones as well (see those on me here) and now they have merged both of them in one! A black faux leather camo print pair. YES! As always I sized up in them because they tend to run a bit small and also very long so I always tuck them under at the bottom (I am 5'4" for reference). I do workout in them but only for more low impact activities, but like them even more for running errands or an off duty athleisure type look. I actually ordered them at the beginning of the Nordstrom sale but they were delayed and arrived just the other day. I ended up returning my Beyond Yoga leggings for these since I felt I would wear these more. These will be perfect in the winter with an oversized sweater or sweatshirt and sneakers. 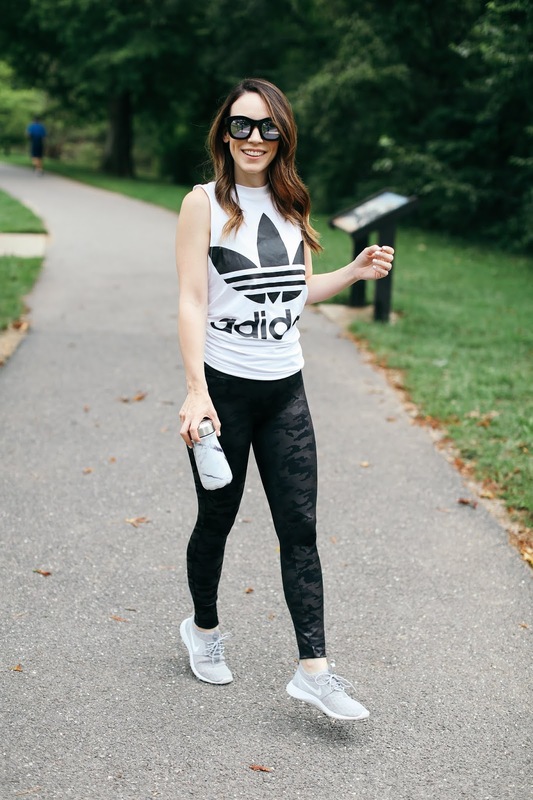 For someone that loves to dress up, I have really come to love and embrace the activewear and athleisure look. LOL. But in my defense, there are so many great styles and options these days! 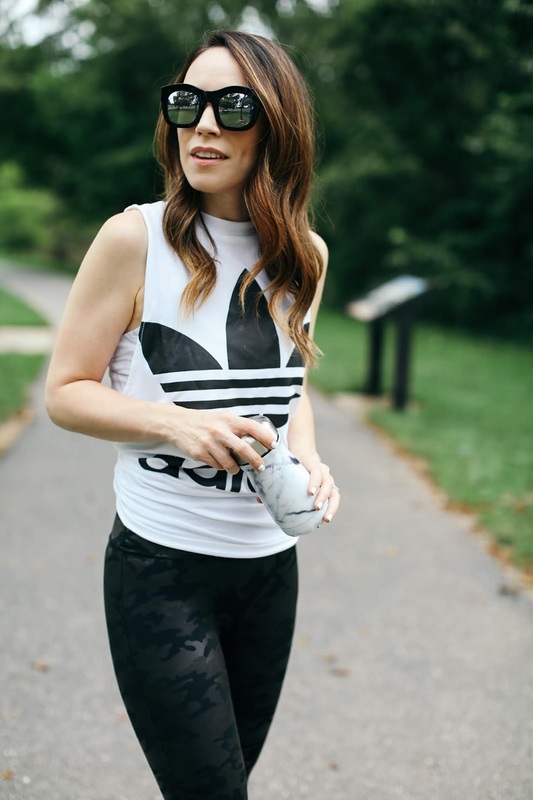 For some other ideas on wearing activewear or athleisure, click here and here to see my old posts. I am quite obsessed with my newly bought blancnoir patterned leggings and t-shirt with mesh cut designing sleeves. These are super comfortable for performing my Yoga sessions. The best thing about this gear is that it came absolutely within my budget.